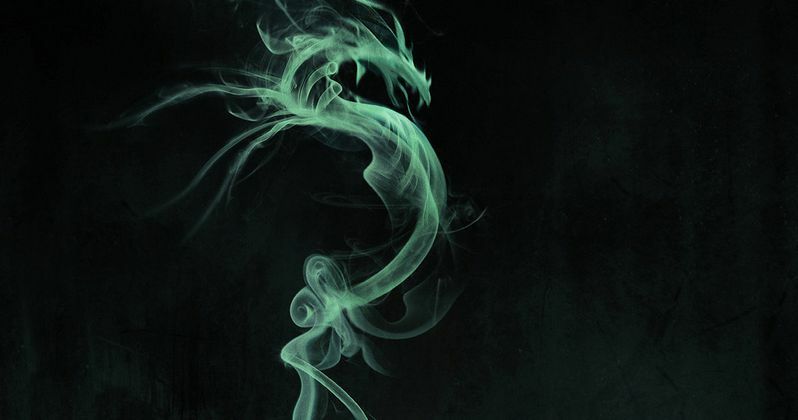 A24 Films and DirecTV have released the first trailer and poster for Revenge of the Green Dragons, which will have its world premiere at the Toronto International Film Festival next month. DirecTV subscribers will get to see the action-thriller first, with an exclusive 30-day window starting September 11, with a theatrical release in October to follow from A24 Films. Check out the first footage and one-sheet, then read on for more details about this true-story adaptation starring Justin Chon, Kevin Wu, Harry Shum Jr. and Ray Liotta, which was executive produced by Martin Scorsese. Revenge of the Green Dragons will have its world premiere at the Toronto International Film Festival. DirecTV will immediately follow with an exclusive 30-day window beginning September 11, followed by an A24 theatrical release in October. This is the third film to be released in the partnership between A24 and DirecTV following Denis Villeneuve's critically acclaimed Enemy starring Jake Gyllenhaal, and Jeff Baena's directorial debut Life After Beth which opens Friday. Revenge of the Green Dragons is based on Frederick Dannen's electric New Yorker article that chronicled the underworld of Asian-American gang life in 80's and 90's New York City. Lau & Loo co-directed the film off a script penned by Michael Di Jiacomo and Loo. The film, stars Justin Chon (Twilight: Breaking Dawn), Kevin Wu, Harry Shum Jr. (Glee and seen in the upcoming Crouching Tiger Hidden Dragon II - The Green Destiny), Shuya Chang (Chinese Puzzle), with Geoff Pierson (J. Edgar), Billy Magnussen (seen in the upcoming Into the Woods) and Ray Liotta. The film also reunites Lau with Martin Scorsese, who came on-board as an Executive Producer on the film. Scorsese previously won an Academy Award for The Departed, a remake of Lau's Infernal Affairs. Revenge of the Green Dragons was fully financed by IMGlobal's prolific genre label Octane. Stuart Ford of IM Global produced the film alongside Lau and Allen Bain, Jesse Scolaro, and Ara Katz. Scorsese served as Executive Producer along with Steven Squillante, Deepak Nayar, Michael Bassick, and Art Spigel. In the vein of crime classics like Mean Streets and Infernal Affairs, Revenge of the Green Dragons follows two immigrant brothers Sonny (Justin Chon) and Steven (Kevin Wu) who survive the impoverished despair of New York in the 1980s by joining Chinatown gang "The Green Dragons". The brothers quickly rise up the ranks, drawing the unwanted attention of hard-boiled city cops. After an ill- fated love affair pits Sonny against his own brother, he sets out for revenge on the very gang who made him who he is. From acclaimed Director Andrew Lau & Andrew Loo, and legendary Executive Producer Martin Scorsese comes a brilliant mix between a Hong Kong action film and a New York City crime thriller, portraying the never-before-told true story of "The Green Dragons".